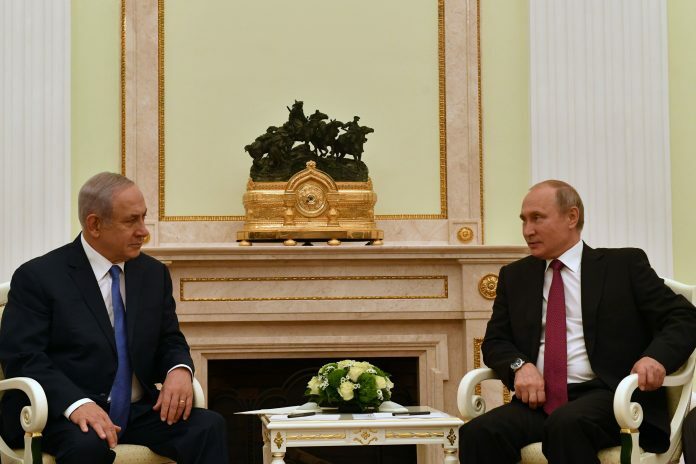 Despite tensions between their home countries, Israeli Prime Minister Benjamin Netanyahu will meet with Russian President Vladimir Putin on Feb. 21 in Moscow, where the two are expected to discuss the Iranian threat. “Putin has neither the desire nor ability to oust Iran from Syria,” she said. “For one thing, Putin’s entire Syria strategy is predicated on a partnership with Iran. Putin wants to be seen as a peacemaker in the region, someone who can talk to everyone — and indeed has worked hard to build ties with virtually everyone in the region. This is one of among several key reasons why he also wants good relations with Israel. “But good relations doesn’t mean both sides are on equal terms. Israel for a long time now has been in a difficult position vis-à-vis Russia in this sense. For instance, Russia controls the Syrian skies,” continued Borshchevskaya. “In the context of U.S. retreat from the Middle East that began under [President Barack] Obama, Bibi has visited Moscow more frequently that Washington. Moscow’s public rhetoric towards Israel also changed after the IL-20 incident.